General Description: Saratoga Hot Springs​ Resort is located in the beautiful Saratoga, Wyoming. 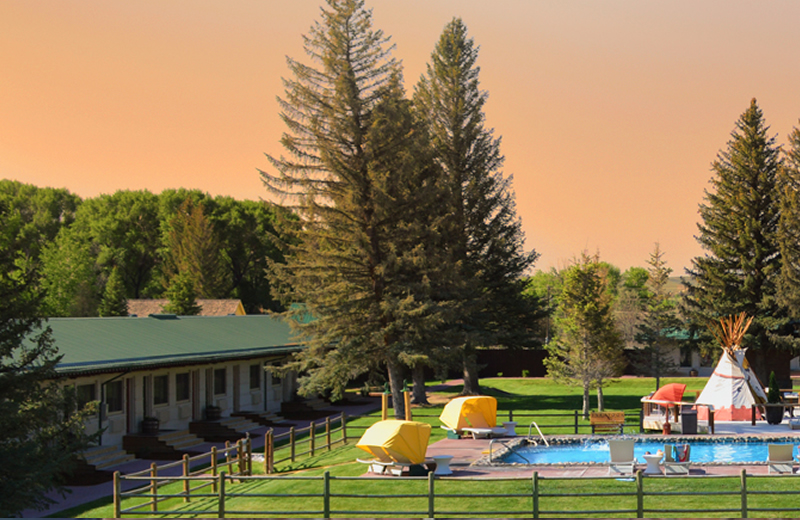 Saratoga boasts one outdoor 70-foot-long hot springs pool and 4 hot spring tubs nestled between the Snowy Range and the Sierra Madre Mountain Range and on the Upper North Platte River. Saratoga offers lodge accomidations, a restaurant, and full bar. Saratoga is known as Wyoming’s premier hot springs travel destination. Location: ​From Rawlins, Wyoming is 45 miles or about 45 minutes to drive. Accessibility: Saratoga Hot Springs​ is very accessible. You can drive up to Saratoga. It is an easy walk around the spa. Saratoga Hot Springs is handicap accessible. Hot Springs: ​Saratoga Hot Springs boasts one outdoor 70-foot-long hot springs pool and 4 hot spring tubs. The hot spring pool is between 80-90 degrees. The four hot spring tubs are 99, 103, 106, and 110 degrees. No chemicals are added to the mineral water. The hot spring pool and tubs are chemical free. Clothing is not optional. Bring your swimming suit. Saratoga offers a full service spa. shuttle service from and to Shively Field Airport.